Ligier - I Say Ding Dong Shop - Buy Stickers, Decals & Unique Automobilia. Ligier Cross Badge Stickers. 3.5" Pair. 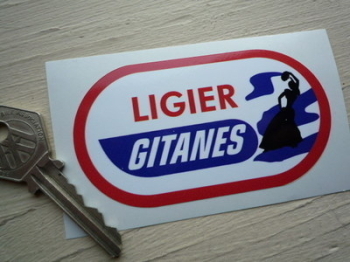 Ligier Gitanes Oval Gypsy Woman Sticker. 3.5". 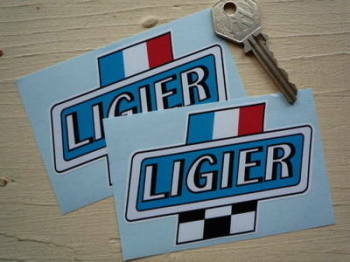 Ligier Gitanes Rounded Oblong Formula One Sticker. 6". Ligier Heart Shaped Crossed Flags Sticker. 3".